Cenotaph can be described as an ’empty tomb’. It can even be explained to be a monument which is erected to pay tribute or homage to those persons whose remains are in some other place. London has its own Cenotaph structure. It is located in Whitehall. In fact, it is a war memorial which was erected after the First World War as a part of peace parade. 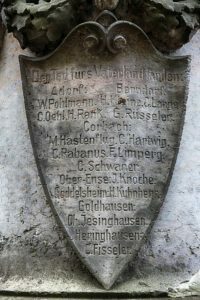 It was made for the first anniversary of the Armistice in 1919. Earlier it was a temporary structure, but later on, owing to nation-wide demand, a permanent structure was erected. The cenotaph is regarded as an important war memorial. 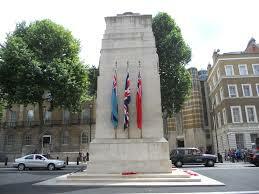 The Cenotaph in London was designed by Sir Edwin Lutyens. The temporary structure was made from wood and plaster. The permanent structure was re-erected using Portland stone. On the Cenotaph, one can see flags of the Army, Navy and Air Force being displayed to remember those who died during the war. Remembrance Service is held in November every year to remember the sacrifice and bravery of those who died. Amongst those attending the service are the Queen, Representatives of the Church and armed forces. England Trains – Information on getting and reading your train ticket, the high speed, and regional train system; a link to training schedules.